Mairéad McClean’s films bring together themes of memory, migration and identity, often drawing on personal reflection and family experience. 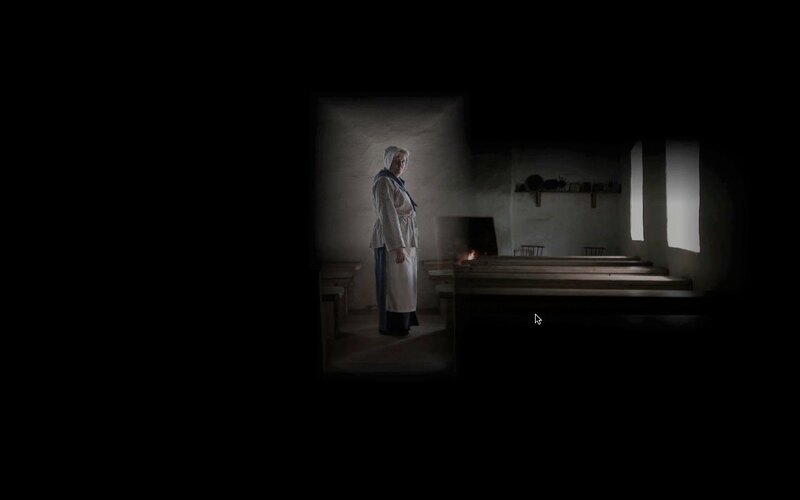 This programme will include a selection of Mairéad’s short films including Migrant Women: Memories of My Mother (2015), made in collaboration with The Museum of Ireland; and Moving Lives (2011), made in collaboration with National Museums of Northern Ireland’s Live and Learn Project filmed at The Ulster American Folk Park in Omagh. Mairéad, originally from Beragh, Co. Tyrone, was the recipient of the inaugural MAC International Ulster Bank Art Prize in 2014. Mairéad will discuss her films with her friend, the comedian and writer Kevin McAleer, who hails from the same parish as herself in mid-Tyrone. They will examine the themes of memory, identity and migration, which are central to her work; the notion of travelling far from the source, and returning for inspiration and resolution to the rich and complex landscapes of the past.